My first impression is that the Siege-R is one hell of a plate carrier! It is very well stitched and feels really comfortable. 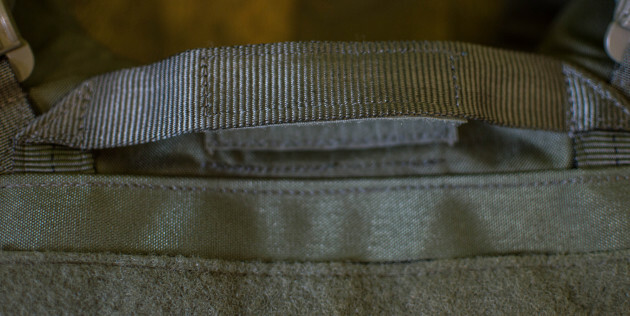 The exterior cummerbund is very flexible and makes it very easy to adjust the carrier to your exact size. It is also designed to fit side plates. 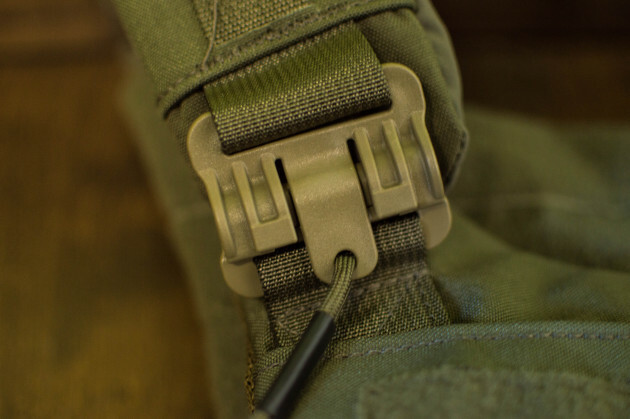 The FirstSpear 6/12 Pocket Attachment System on this carrier is by far my favorite of any I’ve used simply due to the fact that nothing will get stuck in it while you are working, and you can pass wires through it. MSRP: $574.98 on the FirstSpear website. The Tubes locking technology is easy to lock and unlock. You only have to slide it in until it clicks and pull on the cordage to slide it out. The shoulder-closure also uses the Tubes technology. 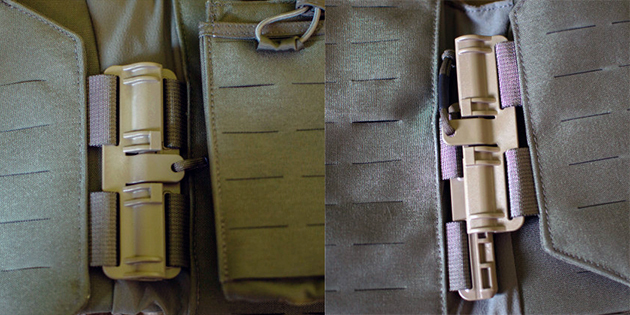 Pros: The Tubes locking system makes it very easy to put on the vest or to remove it quickly. The internal plate pockets are designed to allow the easy insertion of your plates. The inside mesh gives a good airflow, making it easier to keep your cool. The bellyband is removable if you don’t want it. The reinforced drag handle is solidly stitched, and you can use a safety lanyard to pull someone to safety. The mesh interior keeps the vest cool. The bellyband can be removed if you don’t need it. Cons: None apparent at this time. 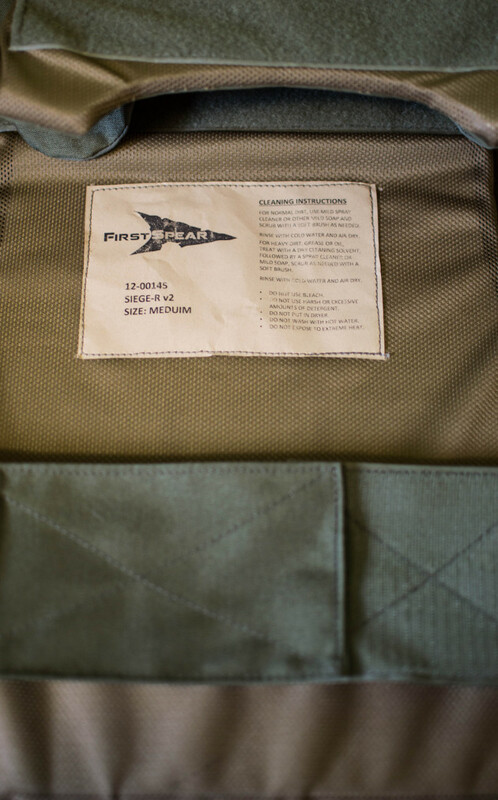 Bottom line/overall performance: Although this is only a first impression, I am positive that you will like this vest and it will serve you well in any type of operation/deployment. You can expect a more detailed review soon. The reinforced drag handle can be used to quickly extract a wounded soldier. A lanyard can also be hooked on it to pull someone.